The Sierra Club, an extreme environmental group from California, is at it again with their 'stop the burn' campaign. Controlled sugar cane burning is a long-standing and critical farming practice necessary to burn off leaves and prepare sugarcane for harvest. The Sierra Club has attempted to misinform the public by claiming it causes air pollution despite the fact that the Glades communities enjoy some of the best air quality in the state. The adjacent infographic explains why Florida’s farmers use carefully managed prescribed burns to prepare their sugarcane for harvest. vs. 'green' harvesting Sierra Club is trying to sell. The 'green' harvesting data Sierra Club refers to is based on ONE study done in Brazil, and far from scientifically proven to be ideal. 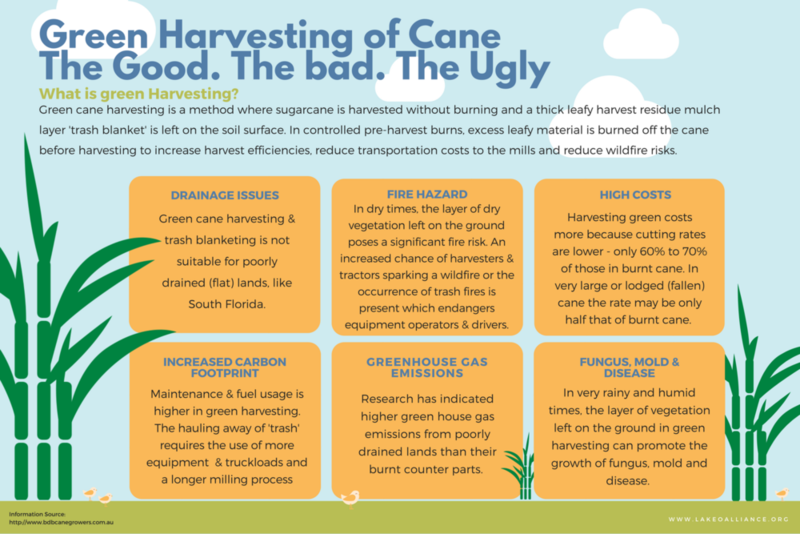 The bottom line… ‘Green Harvesting’ of cane is not ideal, and could be potentially dangerous, for South Florida farms. As an effort to combat the un-truths being spread about cane harvesting, we partnered up with industry professionals to launch the SAFE: Sustainable Agricultural Fire Education campaign.